Our new model Lotus ESPRIT in dynamic form, youthful and lively, with a practical handle in 4 fresh colours: orchid, pistachio, turquoise, violet blue or white. The Lotus ONE Advanced Micro Filtering System for households of 1-3 persons combines Western technology and Eastern knowledge. The outstanding filters offer you protection from pollution in tap water. 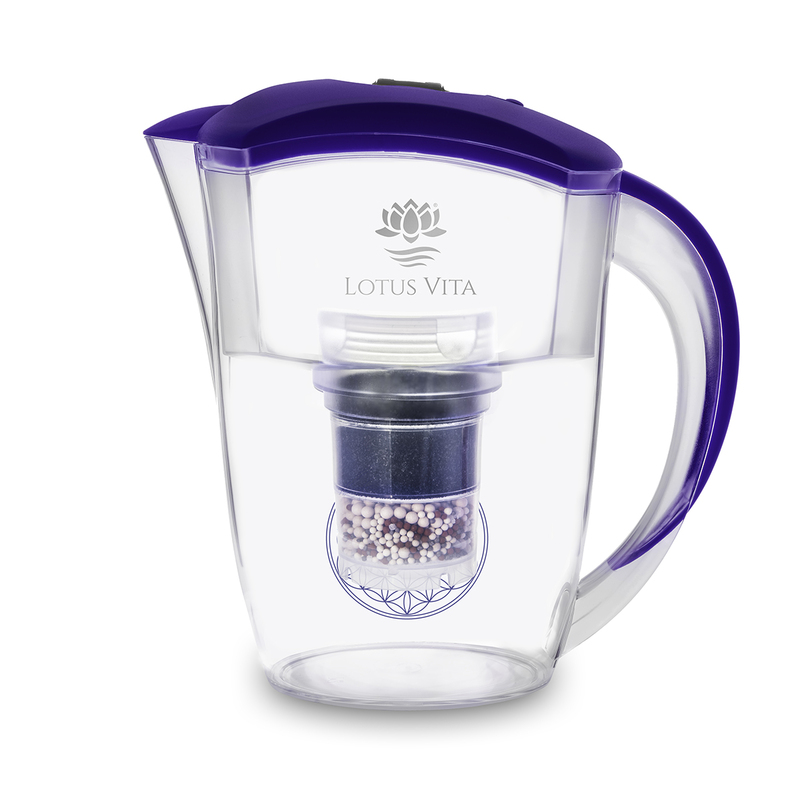 The PiVitalis technology developed by Lotus Vita gives your water a delicious taste and makes it easily digestible. 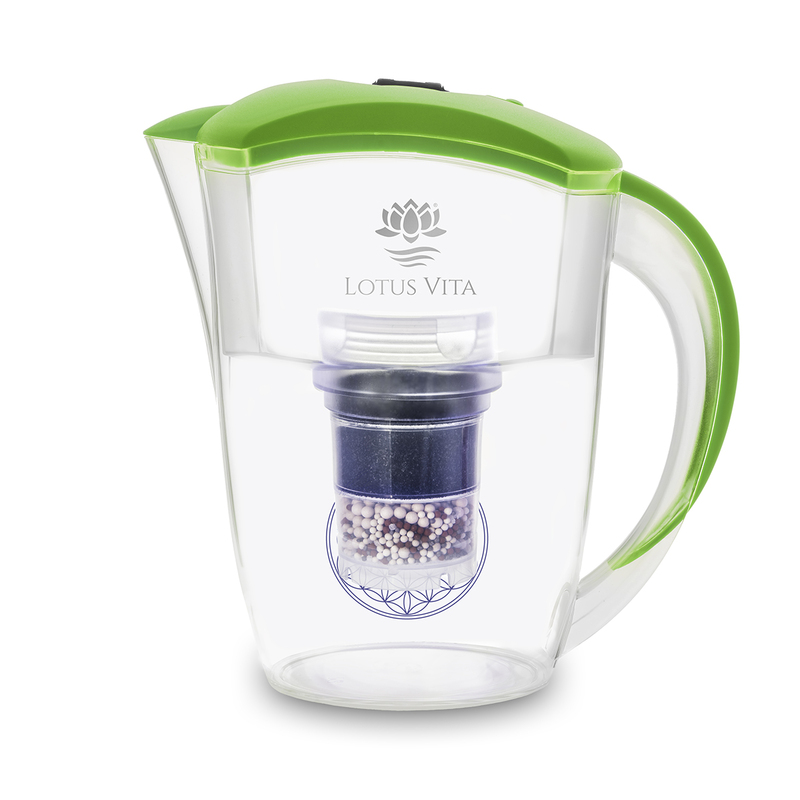 With PiVitalis you receive clear, pure, and extremely delicious water fresh from the spring. Removes lime, heavy metals, suspended particles, enhaunces water taste and optimises performance of total filter results. Removes all suspended particles, protects the following filtering cartridge and optimises performance. Guaranteed best filtering performance of almost all known types of pollution in tap water. Case is made of food-safe plastic! Spare your back, save money, and protect the environment. It’s such good value for money because Lotus Vita wants everyone to be able to drink this precious water, without money being an obstacle. With operating costs of around 12 Euros per month you get to receive and enjoy many litres of water every day, and no longer need to buy any bottled water. According to a study about ecological balance, undertaken by the Institute ESU Services, buying a one-litre bottle of drinking water burdens the environment from 90 up to 1000 times more than a litre of tap water!